In The Eyes Of The Beholder: Downloaded 90.7 Love Radio On My Laptop! Downloaded 90.7 Love Radio On My Laptop! 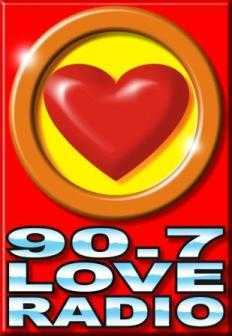 I am listening to 90.7 Love Radio right now. It's a local FM station here in Metro Manila. I just had it downloaded on my laptop. The DJs are really funny. I'm listening to DJ Nicole and Christopher giving advises to callers and listeners while I'm doing this post. I'm having fun just listening to them. I'm even laughing out loud by myself! I'm glad I was able to download the radio station. Then I'll get to listen to another favorite DJ - Papa Jack on his TLC (True Love Conversations) program every night.